This is a very Economical Tour because 4 Main Destinations will be covered just within 4 Days. 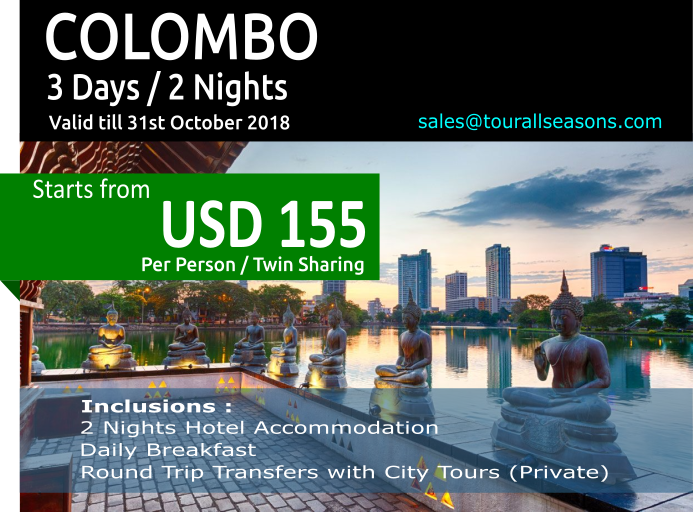 Hill Country, Down South Beach and Capital Colombo with Galle City is treated to be one of the best tours for a family or a group who wish to get an economical tour in Sri Lanka. 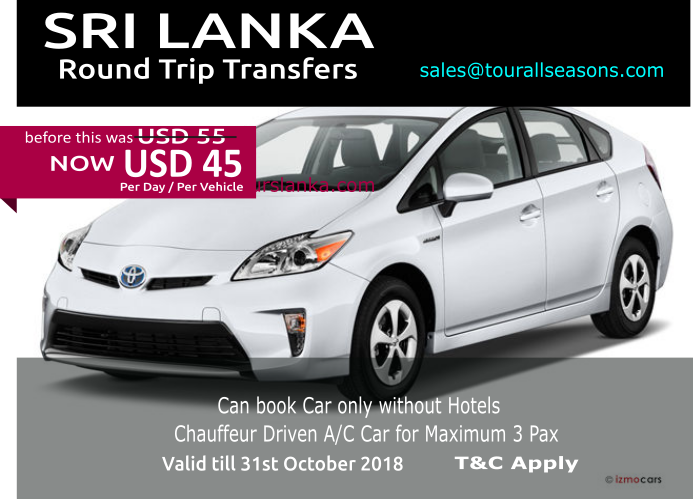 Arrival and Transferred to Colombo Capital. 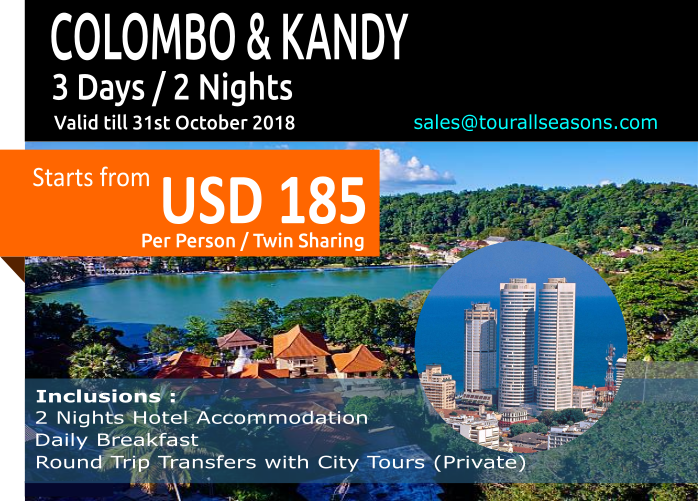 Transferred to Hill Country; Kandy. 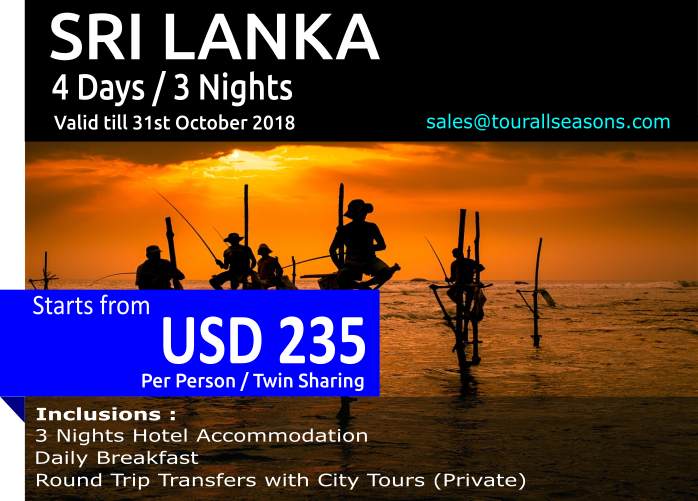 Kandy City Tour, Temple of Tooth Relic, Kandy Lake, Spice Garden Visit, Shopping Cultural Show with Sightseeing. Tour and Sightseeing in the Nuwara Eliya City . 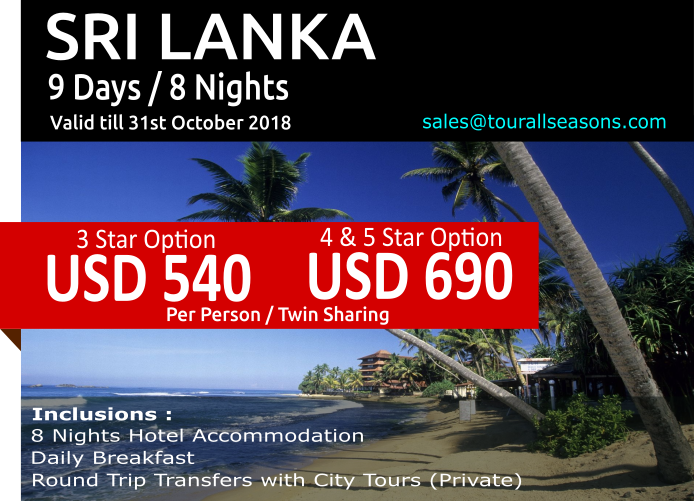 Nuwara Eliya City Tour, Tea Factory and Plantations, Highlands, Gregory Lake and Transferred to Down South Beach Town. Extend your stay by adding TOUR LOCATIONS. Yala National Park etc.